A “courtroom thriller extraordinaire” (Providence Journal) from “master craftsman” (Associated Press) John Lescroart puts Dismas Hardy and his daughter in the middle of an uncertain murder case where winning the trial could mean losing everything. On a cool night in May, a teenage foster child named Anlya Paulson plummets to her death from a San Francisco overpass. But did she fall…or was she pushed? Homicide inspectors focus their attention on a likeable but naïve middle school teacher and volunteer foster care advocate. At first, his only connection to Anlya’s death is the meal they shared earlier that night. But soon his story falls apart, and Rebecca Hardy, now an associate at her father’s law firm, is drawn into his defense. As the case rushes toward trial, Dismas and Rebecca battle an aggressive prosecutor, a disinterested police force, and their own client, who isn’t faring well in jail. When a dying woman’s last words cast a surprising new light on the evidence and problems develop with a key witness, the father-daughter duo begins to glimpse the intricate web that connects the young victim to the city’s complex political and judicial machine. Proving their case in court, however, will be harder, as Rebecca comes to realize that a trial doesn’t always end with the truth. “The Fall is both a mystery and a courtroom thriller in the best ways possible." 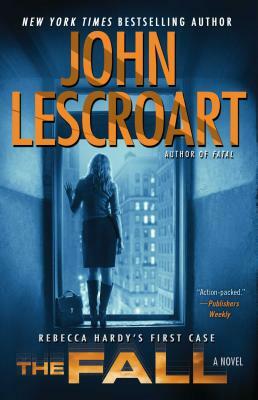 "A terrific courtroom mystery... Lescroart is a master craftsman. He knows how to juggle story elements to keep readers guessing up to the last chapter. The Fall is a tantalizing legal thriller." "A terrific read... Lescroart satisfies with every bite, and the finale is delicious."